Take action to counter global warming – Natural Collection has teamed up with Trees for Life in developing a delivery option which helps you help the environment, while you shop. Being a web-based mail order company, we aim to dramatically reduce the impact on the environment compared to traditional high street stores and supermarkets, especially when you consider we don’t operate big energy-intensive stores or contribute to the plastic bag problem. However, we realise harmful carbon emissions are produced in delivering products to you, which is partially addressed by working with more fuel-efficient delivery organisations such as Royal Mail. To take further action, at Natural Collection we have implemented our very own environmentally conscious delivery programme. To support this programme, you can add £1 to your order and Natural Collection will donate this amount to Trees for Life, supporting their environmental conservation work, which in turn works to combat the carbon emissions related to the delivery of your order. 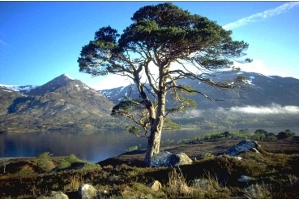 Trees For Life is an award winning Scottish Conservation charity which is working to restore the native Caledonian Forest, rebuilding ecosystems and natural habitats. Since its founding in 1989, Trees for Life have planted over 800,000 trees across their target area, and have assisted in the regeneration of more than 4,500 hectares of land. The Dundreggan Estate is a 10,000 acre (4,000 hectare) estate situated in Glen Moriston that contains a remnant of the Caledonian Forest, and is particularly noted for its exceptional birch-juniper woodland. As such it is an important site for biological diversity in Scotland, and Trees for Life aims to enhance this through the restoration work they will carry out there in the coming years. 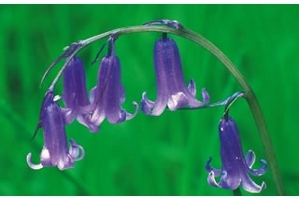 Trees for Life's Woodland Ground Flora Project seeks to enhance populations of plants which have become scarce in established woodland. These in turn provide food for a wealth of bugs and beasties, and so the chain goes on with birds and small mammals feeding on those, hawks, owls and pine marten further up. 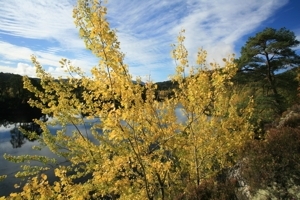 Started 1991, The Aspen Project is working to restore the Caledonian aspen forest in Glen Affric and the surrounding areas, through surveying and mapping, wildlife protection and the planting of trees. Research into the ecology of the area enables Trees for Life to encourage native species and natural environmental regeneration.